I was up late last night perusing your mosaic entries. I think you upped your game after all that 30 Days of Fabric Stacks practice! I like to open each mosaic in a separate tab to see it fully and then leave open all the tabs that I'm considering for finalists. Next comes the hard part - closing all but 10 tabs. Choosing finalists is a very subjective process. Far more than 10 mosaics are strong, cohesive fabric collections with inspiring interpretations of the Summer Crush prompt. 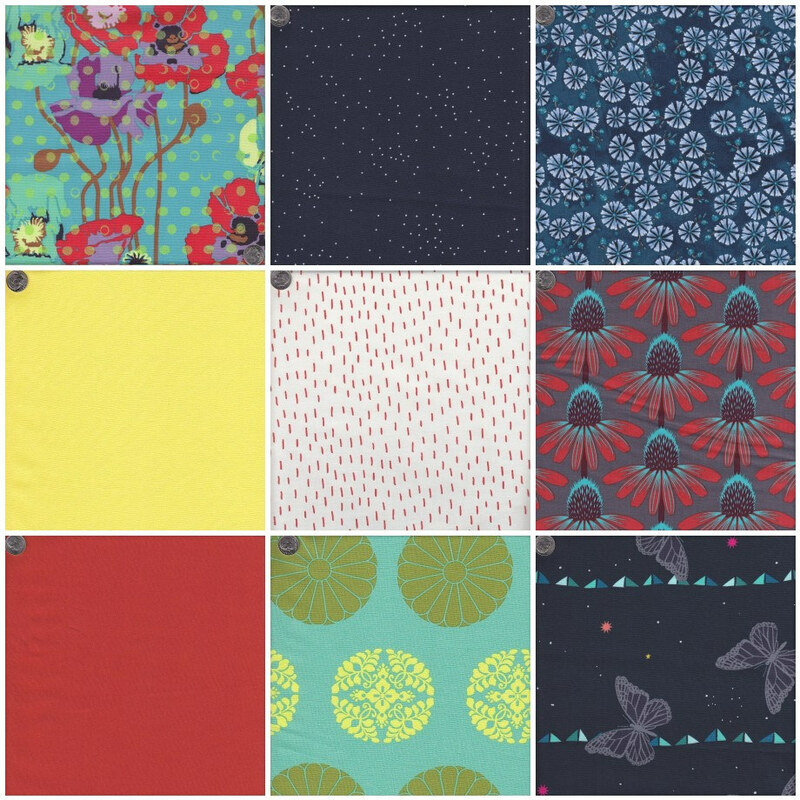 When it comes down to the wire, I just have to choose the 10 that appeal to me most, while trying to aim for some variety in fabrics and color palettes represented. If I didn't choose yours this time, I hope you won't take it personally. Here are our finalists. Please choose your very most favorite collection and vote! I've presented them here, with the name of the artist under each mosaic. Click Here to vote with smaller images for reference. Vote now through midnight (eastern U.S. time) on Wednesday the 23rd. The two winning mosaics with the most votes will be announced on Thursday the 24th. Through the Leaves by Sarah J. 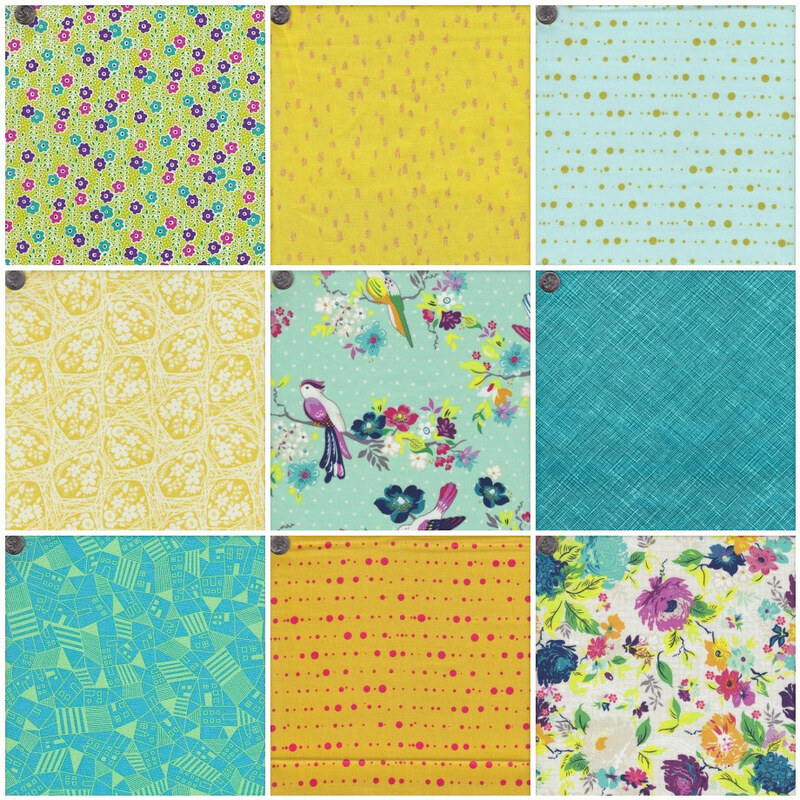 Summer Garden by Sue B.
Hazy Days by Dione G.
I know it's hard to choose just one, but we need your perspective. Please use this button to visit the voting page.